A gület cruise is a very special way to discover Turkey’s sights and secrets. We know that everyone has different ideas about what makes a memorable holiday. That’s why Fairy Chimneys Travel offers such wide-ranging options. Amongst our yacht and gület charters you’ll find varied vessel sizes, service levels, whole yacht and single cabin charters. So whether you’re planning to sail for the day or a week, we have your ideal cruise. When you select a Fairy Chimneys Travel Gület charter, you can pack a suitcase. Nothing is more disappointing than having travel plans dashed when your preferred cruise in under-booked or cancelled. You can be certain about a yacht charter. Plus, each of the enchanting cruises showcased in this booklet is Guaranteed Departure travel. Fairy Chimneys Travel wants your gület cruise to blend close cultural encounters, delectable new flavours, engaging activities and traditional Turkish seafaring. Our gület selection features standard, superior, luxury and ultra luxury yachts. 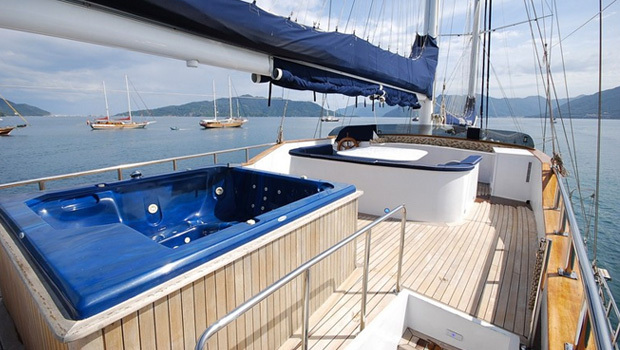 All have been built faithfully to traditional two and three mast designs and feature deluxe appointment level below deck. Over the years, returning travellers have mentioned how the number of travellers affects their holiday experience. So Fairy Chimneys Travel understands your group size and make-up matters. Our gület and cabin charters are just the right size for enough company to make your voyage interesting and enhance any special interests or activities. Need help planning your ultimate gulet cruise holiday? We are a full service agency and as well as your private gulet we can organise your flights, accommodation and local tour guides and transfers. We can also advise you on visa information. If you're not sure about which gulet is best for you then talk to our friendly travel agents, we're ready to help.